From ESD to PU there are several acronyms in the world of flooring. Knowing what they all mean is one thing, but understanding key differences of the flooring solutions themselves is another. In this post we hope to explain the similarities and differences between MMA and PUMA flooring, and help you to decide which is the right system for you. 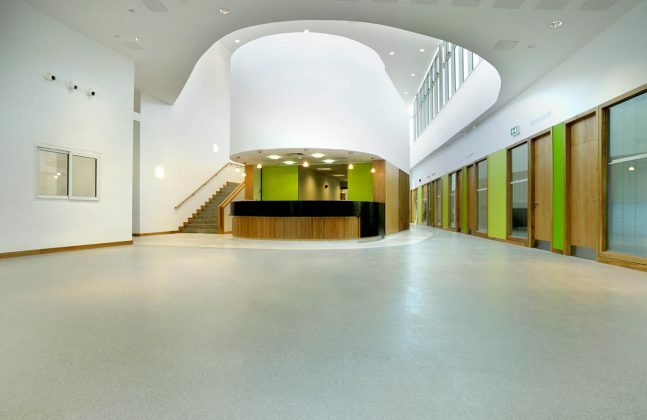 Methyl methacrylate (MMA) technology is typically a fast curing, impermeable acrylic floor coating range that can be applied at low temperatures. A key benefit of MMA systems is the versatility available in terms of both design and applicability. MMA systems are incredibly fast curing, and can cure in minutes, even at -20°C. This is achieved by using a catalyst to trigger the reaction and begin the cure. The amount of catalyst used depends on the ambient conditions and because of this, it’s the only system where you can adjust its reactivity. Being able to adjust how long you have to work the system can help to improve workflow and efficiency, where as with the others you don’t have a choice. MMA works by fusing to previous flooring systems to become monolithic and tough. This is extremely useful for refurbishments, as MMA layers can be applied to a wide variety of substrates. Although fast to cure, MMA gives off a strong odour during application. This odour is heavier than air however, and so good extraction can be put in place until the floor is cured. For MMA to cure, oxygen must be absent meaning that the system has a minimum thickness that must be adhered to for a complete cure. Thicker layers can come with increased costs, however thicker layers are often more durable, and can save money in the long run thanks to an extended life cycle. Polyurethane methacrylate is a hybrid system that reacts like MMA but performs like a PU system. Advantages of PUMA or PU systems include fast curing properties, the ability for inter-coat fusing, oil and battery acid resistance and many more. In addition to these advantages, PUMA is well suited to areas where standard epoxies and PU systems have limitations, thanks to these key characteristics. 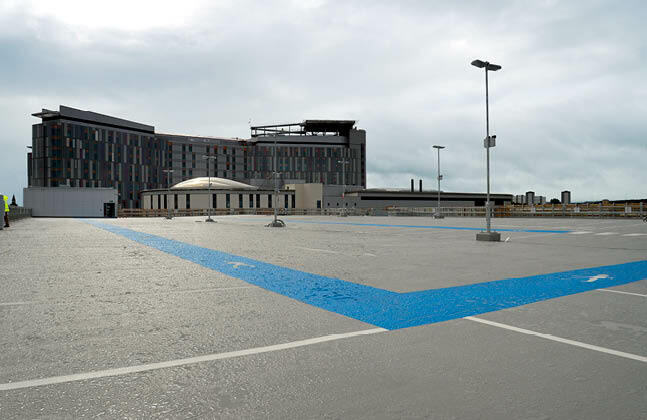 Thanks to PUMA’s ability to be applied in varying weather conditions, withstanding exposure to rain, UV and heat during application and after cure, it is ideal to use on exposed surfaces, such as the top level of a multi-storey car park. 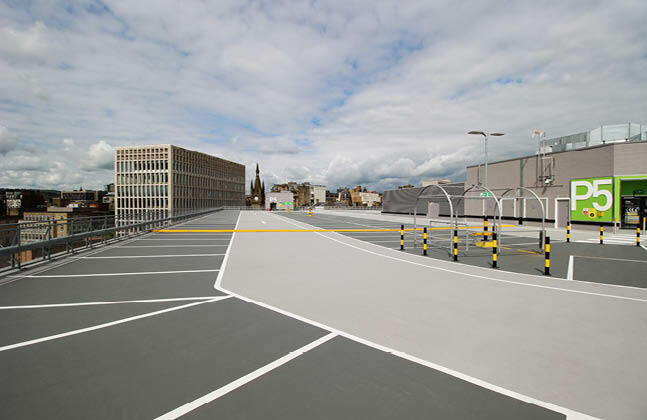 Here, the coating would be constantly exposed to the elements and would also need to withstand heavy traffic and abrasions that are expected in car parks. In contrast, PU systems cannot be applied to substrates that contain moisture or withstand thermal cycling issues, which PUMA systems have the ability to deal with. Some PUMA systems, such as the unique Mondéco Rapide from Flowcrete are extremely decorative but have the fast curing abilities of standard PUMA systems. This means that you can create seamless resin terrazzo floors very quickly. Flooring systems like this can be applied and cured during most normal hours of business closure. Being resistant to fire and extreme temperatures, these floor coatings are often used in industrial and commercial kitchens where exposure to hot ovens or cool storage rooms needs to be tolerated. Resistance to chemicals from food, drink or harsh substances such as petrol, diesel and other flammable liquids make these coatings well suited to car park areas, as well as food and beverage facilities. Anti-slip materials are incredibly useful for public spaces such as car parks, which can become slippery due to weather conditions or leaked solutions such as oil from vehicles. MMA and PUMA systems are largely impermeable as well, meaning that exposure to wet weather conditions will not cause floor failure. Both MMA and PUMA systems are UV resistant, meaning that neither system will fail when exposed to sunlight. To conclude, both MMA and PUMA systems are fast curing, slip resistant, UV and chemical resistant flooring solutions. 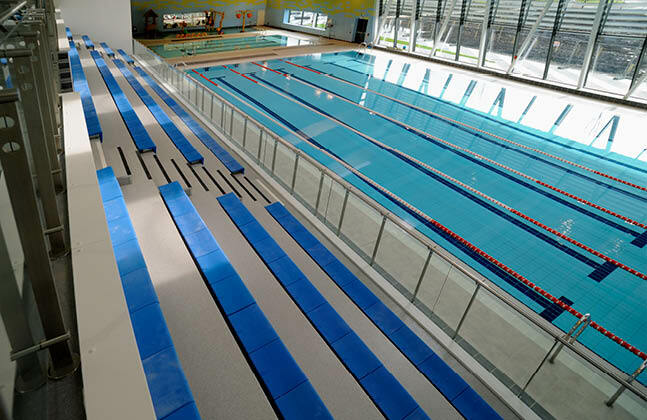 MMA systems are well suited to refurbishment projects thanks to its ability to be applied to a variety of substrates. PUMA systems are ideal for projects that need an extremely quick turnaround, even in challenging environments such as exposed decks that must deal with thermal cycling during and after application. If you would like to know more about these systems please leave a comment below and we will get back to you. Stephanie Samuel is the Digital Brand Ambassador at the global resin flooring manufacturer Flowcrete Group Ltd. Steph's role includes social media marketing, online brand advocacy and managing the allthingsflooring.com blog. Would PUMA Resins be suitable in a domestic setting. What is the odour like when laying? How long does it take to cure? There’s no reason that PUMA can’t be used in a domestic setting, however I’ve not heard of it being used residentially before. There’s a few reasons for this, the main one being that it takes a lot of expertise to get it right, as if the components are incorrectly mixed then the floor can easily fail. Also, it’s benefits have really been designed with large-scale commercial and industrial projects in mind and the odour of MMA, which can be mitigated, is probably something you’d want to avoid in a house. If you’d like this type of aesthetic, have you considered going for polished concrete? It’s still advisable that a trained applicator is brought in, but I’d say this is a less problematic route to go down for a domestic setting.